for 1 3/8" doors up to 75lbs. Prefabricated 4 9/16" header with aluminum track replaces regular head jamb. Keeps the doors the same trim height as swinging doors. Convex track rails. 7/8" dia. wheels, adjustable hangers, and adjustable guide. Header is made with quality wood and can be stained, or painted. Brass-tone steel parts. Track can be cut down to accomodate different size doors. 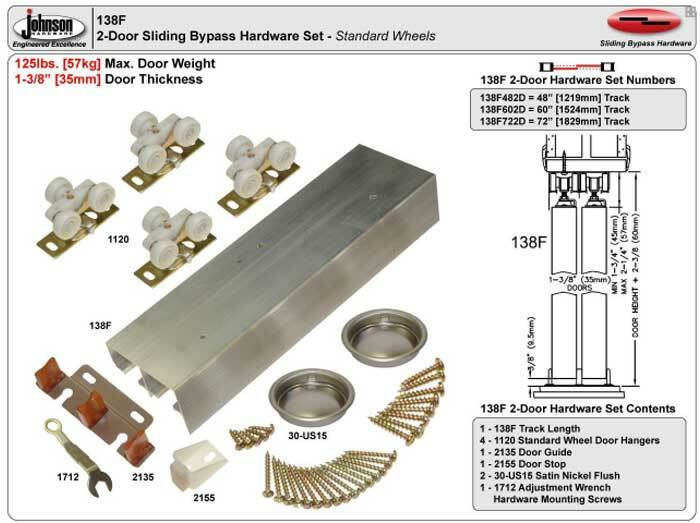 48" Kit for 2 - 24" doors - track length 47"
60" Kit for 2 - 30" doors - track length 59"
72" Kit for 2 - 36" doors - track length 71"
Commercial grade track for 1 3/8" doors up to 125lbs. Aluminum fascia hides hangers from view. Three-wheel (1" dia.) hangers ride on convex rails for smooth, quiet operation. 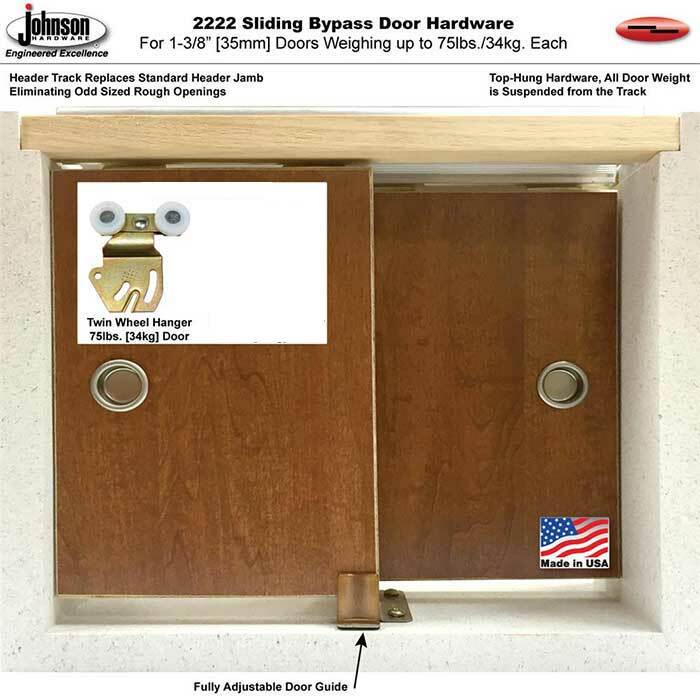 Door guide is wood-tone with pivot action that align guide posts with door. Brass-tone steel parts. Track can be cut down to accommodate different size doors. 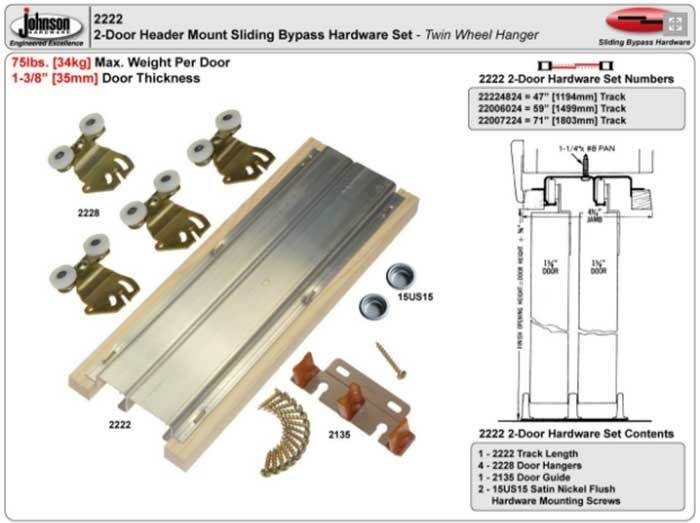 48" Kit for 2 - 24" doors - track length 48"
60" Kit for 2 - 30" doors - track length 60"
72" Kit for 2 - 36" doors - track length 72"